Edmonton's river valleys and parks are blessed with lots of wild rose bushes. 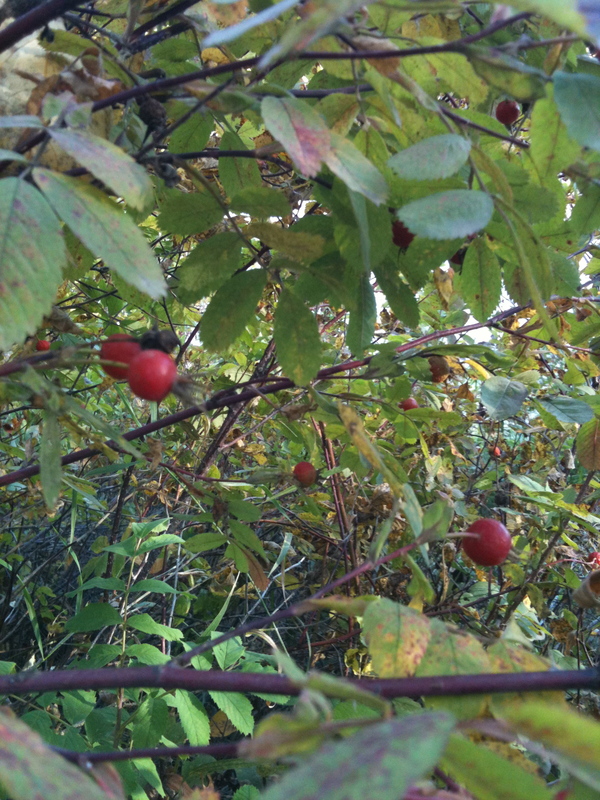 I take joy in going into the valleys in the fall to collect rose hips. What are rose hips? Seen here, they are the bulb of the rosebud essentially. They are an excellent source of vitamin C. They have been used for centuries by aboriginal populations for this reason. It's interesting to note that During World War II, there was a public campaign started by registered dietitian, Claire Loewenfeld who was working for Great Ormond Street Hospital for Sick Children encouraged people to collect wild rose hips and make a rose hip syrup for children. The topic even made it into the British Medical Journal (BMJ)! (1). Citrus fruits imported during this period came on ships and like many other ships with various goods heading to britain, they were a target, resulting in a shortage of imported citrus fruits during the war. Rosehips have been used for medicinal and therapeutic properties for centuries. Roseship or rose oil is extracted from the rose hip. It's high in vitamin C, and also contains vitamin A and B in smaller quantities. Rosehips contain more vitamin C than many citrus fruits, which is great to know for wild foraging and for those wanting to live local. No need to buy citrus fruits to get your vitamin C, you have a plentiful source in your backyard. Rose oil is a common ingredient as a base oil in many perfumes and colognes. It is made from the petals rather than the hips. Tasted great!